SQL Server – SSMS – How to quickly fetch the SQL Server client tools version information? Recently, the IT department at the office undertook a hardware technology refresh cycle. To facilitate the IT department, we were required to send out a list of all installed programs & supporting components so that they could provide us with new computer systems up-to-date with the right versions and patches. Once there, I noticed that all the information is now available on screen. So, I clicked on “Copy Info”, pasted it to Excel and sent it over to my IT department. They were surprised as to how fast I got this information for them. Well, it’s our little secret now, isn’t it? 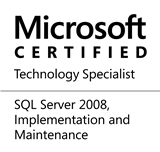 This entry was posted in #SQLServer, Blog, Imported from BeyondRelational and tagged #SQLServer on October 20, 2011 by nakulvachhrajani. I was amused when i began to read your article, but really interested by the use of copy info button to insert the data in an Excel form.I will be naughty with you , my mark ( like in a school ) : 19/20.I will use your “tip” on MSDN forums when the original poster is unable to give informations about his/her SSMS which has problems. @Patrick: As long as you post back (i.e. direct the forum member) to this post, please go ahead.